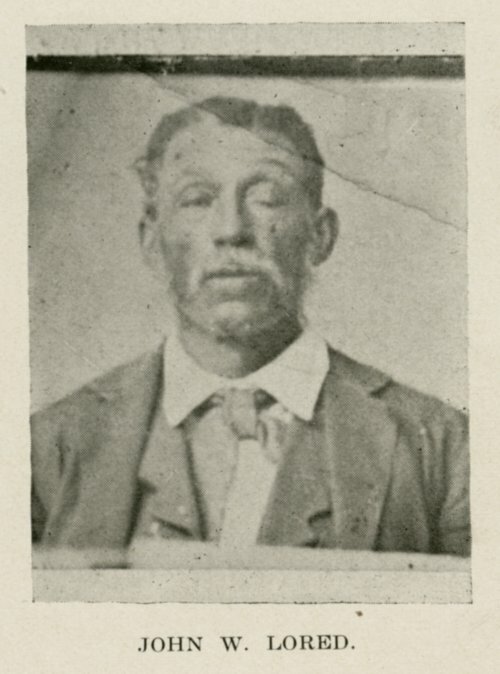 This is a portrait of John W. Lored, a resident of Nicodemus, Graham County, Kansas. It was copied from the Standard Atlas of Graham County, Kansas. Creator: Ogle, Geo. A. & Co.